As predicted, Phantom, Stalking, and Killer clown sightings did vanish, after Halloween and Election Day 2016. It appears that the media-driven phenomena of "creepy clowns" filled a void created by public and media boredom with the long campaign of 2016. Once the surprising election results came in that Donald Trump had received enough Electoral College votes to be the 45th President, attention shifted to politics again. Clowns seemed to literally disappear. The lingering criminal actions resulting from a few actual "clown incidents" are now showing up in the news, via official findings and jail time. What lead to a limited number of people behind these "creepy clowns" being adjudicated in the courts? Let's look at few of these cases. In Linden, New Jersey, a 14-year-old boy was recently arrested in connection with posting a creepy clown post that threatened teachers and children last year. The boy was served with complaints for terroristic threats and creating a false public alarm. He has to make an appearance in juvenile court. Around 6:41 p.m. October 3, 2016, Linden police were alerted to a suspicious Instagram posting that featured a photo of a clown sitting on a swing. The caption of the photo reads "I'm taking and killing teachers and kids just like I did this morning September 30 following that girl." Following a three-month investigation by Juvenile Detective Keith Milos, the boy was arrested Thursday morning, police said. Source. 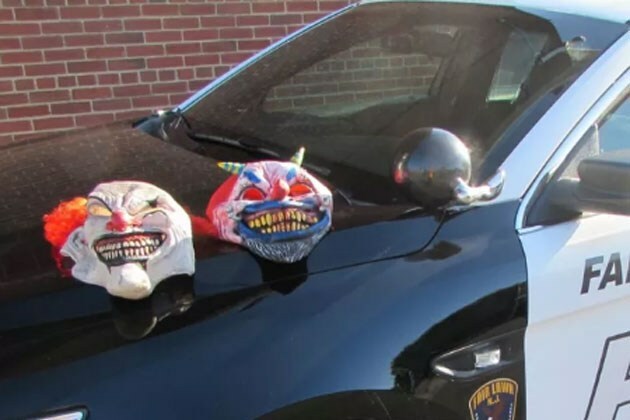 Two Hunterdon County residents were summonsed with disorderly conduct after they allegedly drove through a parking lot at Hunterdon Central Regional High School while wearing clown masks. Jared Matonis, 27, and Tyler Gallo, 18, both with Lebanon addresses, were charged at about 3:38 p.m. Oct. 7 after School Resource Officer Timothy Nemeth received a report of a suspicious vehicle that had driven through the fieldhouse parking lot with the driver and passenger wearing clown masks. Further investigation identified Matonis as the driver and Gallo as his passenger, police said. The big news regarding British "Killer Clowns" this week received headlines loved by the UK tabloids. A teenager who chased a pregnant woman with an axe while dressed as a "killer clown," back in October, was jailed for six months. The woman, who was 22 weeks pregnant, threw a brick at the "clown" before he ran off. 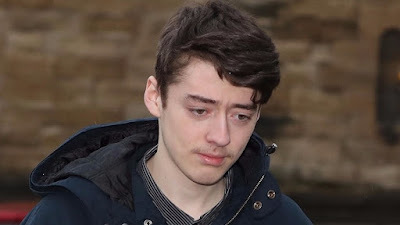 Michael March told Newcastle Crown Court he accepted his actions were "foolish and reckless" and it must have been frightening for the couple. March (below, right) said it was a Halloween prank gone horribly wrong. 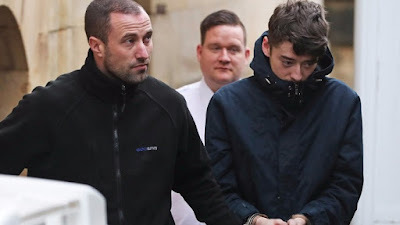 Prosecutors told the court that March claimed it was a prank saying he had himself been chased by killer clowns in Gateshead and he thought he would scare people as part of a prank. A 10-year-old boy in Plymouth was threatened by a clown who jumped out of a bush carrying a hammer, while in Workington, Cumbria, a clown brandishing an axe chased an 11-year-old girl. 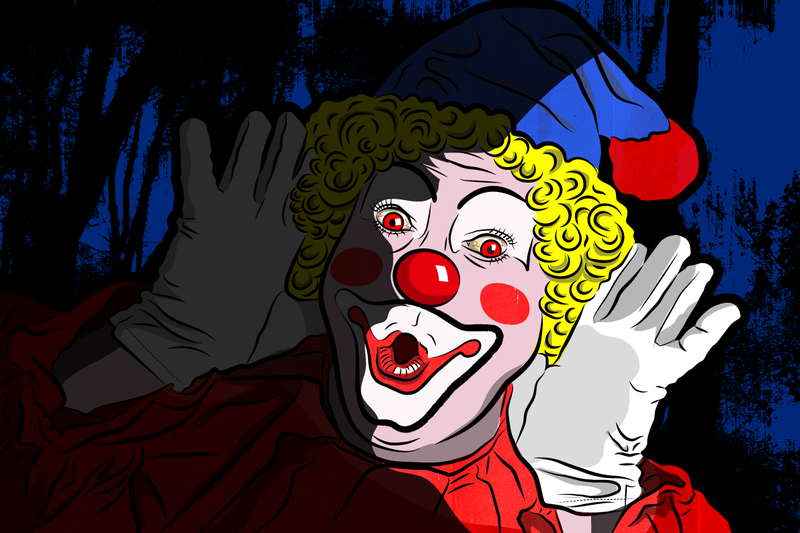 Kent Police saw 59 clown-related incidents between October 7 and 10, (2016) Thames Valley Police had 14 reports in 24 hours, and South Yorkshire Police said it had received 61 reports. Source. An 18-year-old Phoenix-area man was sentenced to three months of probation Monday (February 6, 2017), in connection with a creepy-clown threat made against his former high school. Alonzo Vargas, 18, pleaded guilty in January (2017) to a felony charge of interfering or threatening an educational institution after posting threats on social media against Westview High School in Avondale. As part of the plea agreement, a misdemeanor charge of threatening and intimidating was dropped. With his head bowed and his voice quivering, Vargas expressed remorse over the incident during his sentencing in Maricopa County Superior Court. "I want to apologize for the mistakes I made," he said. Citing the seriousness of the crime, Judge Warren Granville ordered Vargas to complete 40 hours of community service and drug counseling. "We have to figure out if this was just a badly-timed goof or something more," Granville said. Vargas was arrested Oct. 6 after police say he posted to Instagram a screenshot of a Facebook post indicating students and faculty at Westview would be shot. Sgt. Mathew Hintz, an Avondale police spokesman, said in October (2016) that Vargas claimed the post was all in good fun and did not believe it would be taken seriously. Illustration at top: R. A. Di Ieso from an article in September 2016 discussing the historical origins of the then-current "creepy clown sightings," via research from Loren Coleman and Ben Radford. All Hail the Creepy Clowns!